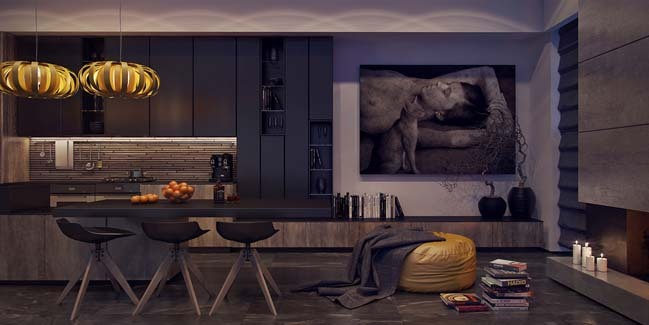 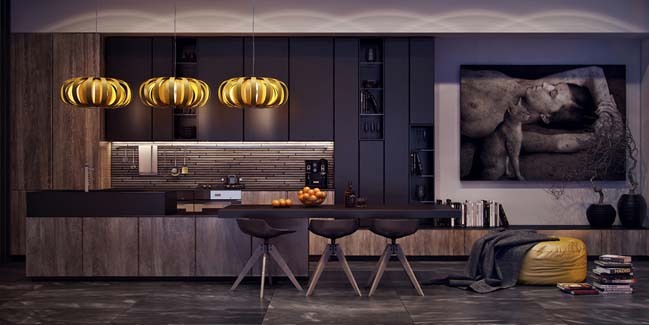 This modern kitchen is a luxury space that is covered in elegant dark tones. 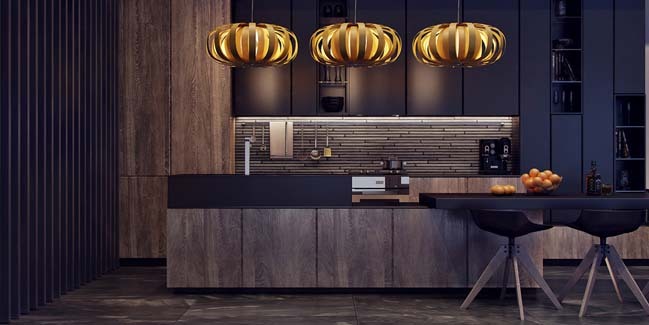 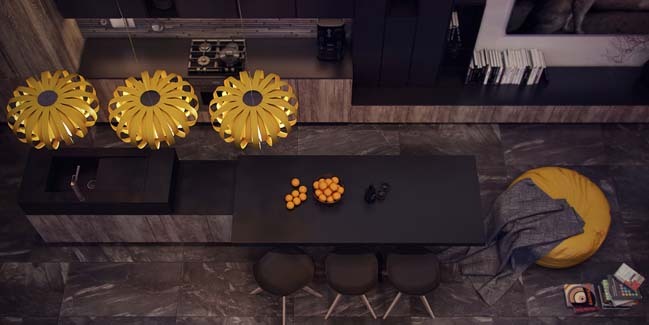 Three yellow pumpkin-lights like a striking accents between black and dark-wood interior designs. 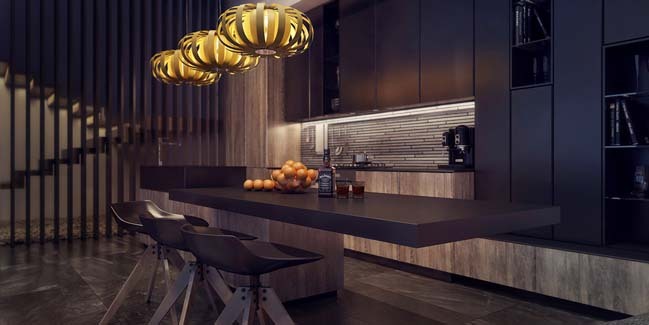 The kitchen is also create sleek lines and a clean feeling without skimping on the necessities like appliances.